One unit of sulfatase will hydrolyze 1.0 mole of p-nitrocatechol sulfate per hour at 37°C and pH 5.0. 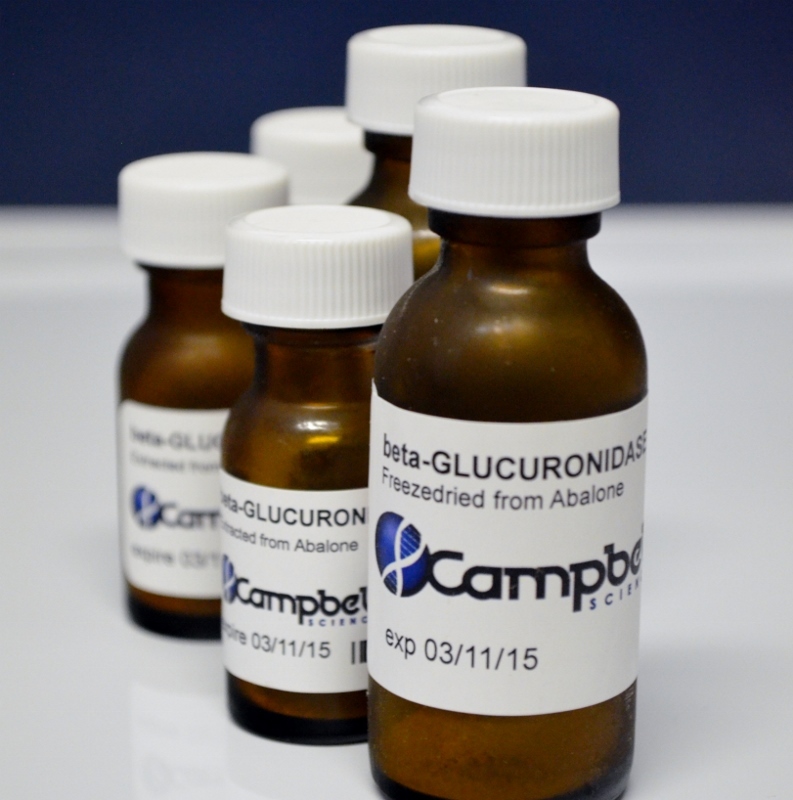 Beta-glucuronidase from abalone has been reported to work better than beta-glucuronidase from many other sources including bovine liver, e coli, helix pomatia, and patella vulgata. Our purified powder has an activity of 1,200,000-3,000,000 units per gram so the viscosity of solutions made from it will be much lower than solutions made from lower quality and activity powders (<1,000,000 units/gram) sold by other companies. We extract it from farm-raised abalone, so it is completely sustainable and causes no harm to the environment.